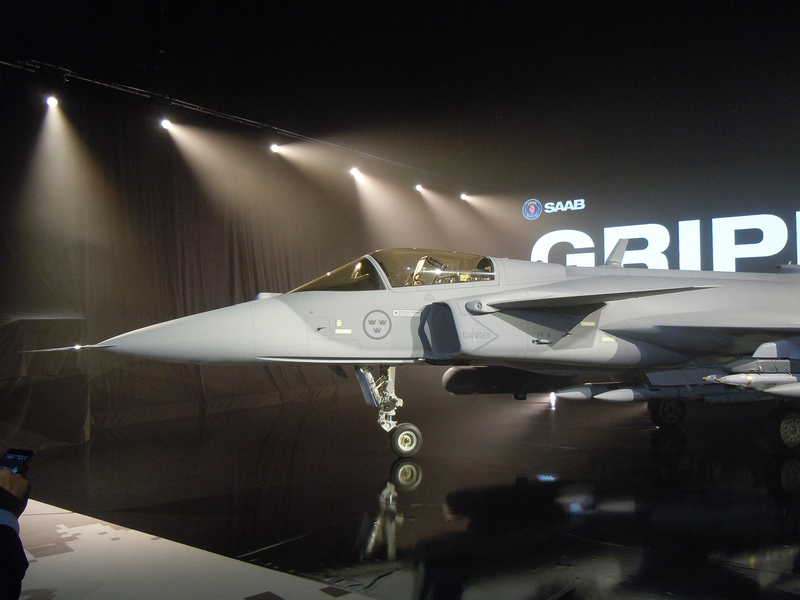 “Affordable and the best – the new normal,” is how Håkan Buskhe, CEO and President of Saab, introduced his company’s latest product, the Gripen E, the only modern fighter aircraft that has power, efficiency and flexibility in perfect balance. Meeting stringent requirements in terms of flight safety, availability, agility, training and life-cycle cost, the company claims that Gripen E represents the ultimate in operational efficiency. 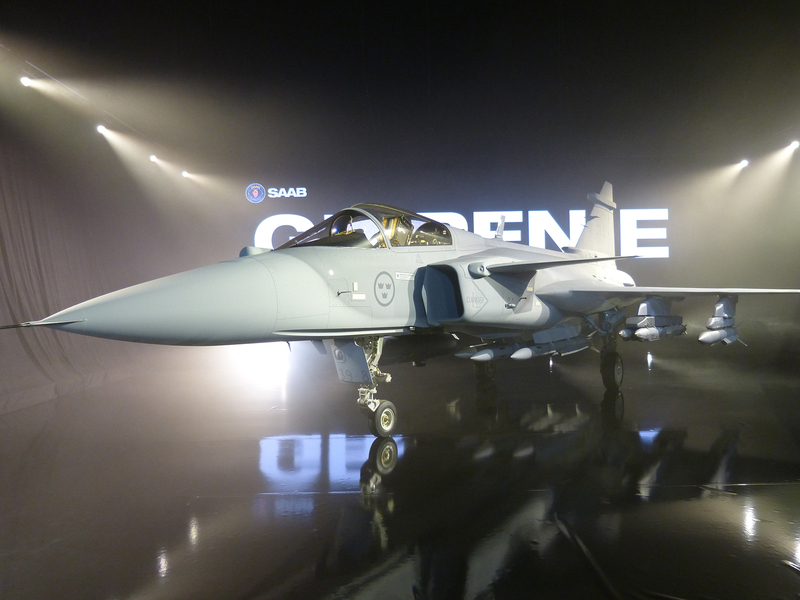 It was only three years ago that the Swedish government gave the go-ahead for the production of 60 Gripen E aircraft for the Swedish Air Force. Sweden’s Minister of Defence, Peter Hultqvist, told EDR that the government decided to commit to a lot of investment in defence following Russia’s actions in Ukraine. “The Baltic States feel tension from Russia. We decided to upgrade our military capabilities. More defence exercises, building a Nordic battle Group and invest in products designed for the Nordic environment.” Hultqvist added that Sweden’s co-operation with Finland has deepened and it would use the political platform to promote national products. 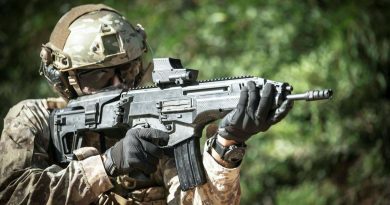 Some 80 percent of Saab Group’s 2015 sales were in the military sector, 46 percent air, 20 percent land and 16 percent maritime products. Håkan Buskhe said that the driving factors in the company’s success were short delivery times and constant upgrades of its product range. It had also increased in investment in research and development by 25 percent of turnover. It had facilities in ten countries. To maintain long-term sustainability, Saab’s 600 products were continually reassessed with particular focus on electronic warfare (EW), radars and sensors. “We also co-operate with other companies to make a better product. Our relationship with Boeing on the USAF T-X programme is going well”. Buskhe added that there would be some divestment and some acquisitions in the future. He added that Saab’s business ethics are an essential part of the company’s DNA. It negotiates directly with the customer, there are are no middlemen and all sales are subject to Swedish laws regarding the export of military equipment. With regard to Gripen E, 36 of which have been ordered by Brazil, Håkan Buskhe said that Saab had to find a new way of production. The design and engineering teams worked together all through its development. This resulted in the halving the time it took to produce the first Gripen C. This method was now being introduced for all the company’s products. “With its lower R&D, we are in position to capture a large percentage of the potential market of 450 aircraft with Belgium, Switzerland and India being targeted.” Buskhe added that at the same time, Swedish Air Force Gripen C/Ds were being upgraded to MS20 configuration and new C/Ds, which could be delivered within 18 months from order, would be available until at least 2020. General Mats Helgesson, Chief of the Swedish Air Force, briefed EDR on the air forces role, its capabilities and future expectations. “Today we are focusing on missions back home. We conduct national airspace surveillance, 24/7, and the Gripens carried out 330 Quick Reaction Alert (QRA) missions last year. Since 1 January this year the Gripen fleet of 100 aircraft have flown 11,000 hours, the eight C-130H transports – 2,800 hours, the 50 Saab 105 trainers – 5,500 hours, the four Saab 340 AEW/transport aircraft – 1,500 and the five Gulfstream IV SIGINT aircraft, 1,700 hours. 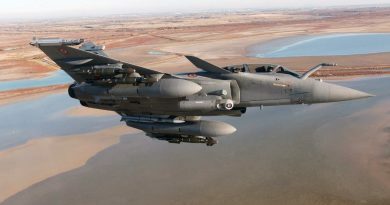 General Helgesson said that the MS20 upgrade of the Gripen C/D which is being phased in by the end of this year, include the MBDA Meteor and the GBU small diameter bomb (SDB), CBRN production and improved maintenance and logistics. The air force will reintroduce dispersed base operations when combat aircraft will use selected sections of Sweden’s road network as runways. He added that the first maritime variants of the NH90 helicopter have been delivered with an Initial Operating Capability (IOC) expected in 2018. Although Sweden is reducing its overseas deployments, the air force will take part in Exercise Red Flag 2018-2 in the United States as well as the multinational Arctic Challenge Exercise in 2017. In addition, it is increasing its co-operation with Finland with secure communications, alternative bases, air surveillance operations and the possibility of operational planning. 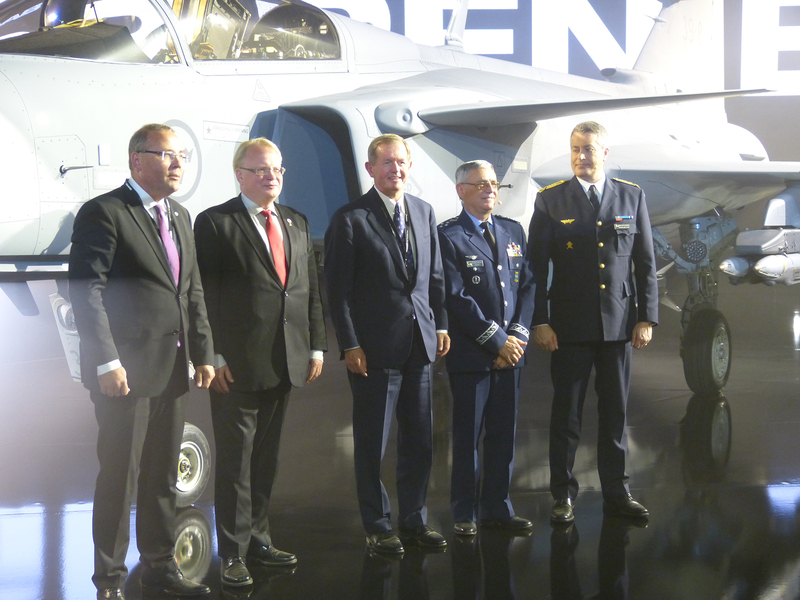 General Helgesson looked forward to receiving the first Gripen E in 2023 which will equip six squadrons by 2026. It will be a national asset that will protect sovereign independence and empower the nation towards a more secure future. “We had to break the cost curve and we did this with a focused strategy, proven new ways of working and using technology from world-class suppliers partners and integrating them into systems on Gripen. Jerker Ahlqvist said that the Gripen systems is designed for continuous incremental capability enhancements that take months instead of traditional mid-life upgrades that take a year or more. Speaking of the Brazilian contract for 26 single-seat and eight twin-seat Gripen Es, technology transfer was key. The Brazilian development centre, flight test centre and production facility were under construction at Gavião Peixoto. 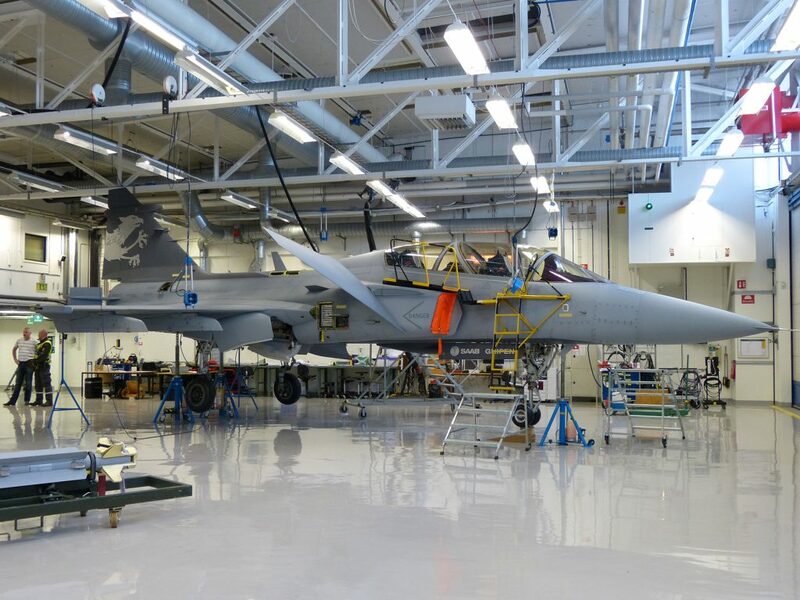 The first single-seat Gripen is being built and will be transferred to Brazil a year after its completion. The twin-seat variant will be designed and built in Brazil. Sweden has no requirement for this version. Lars Ydreskog explained some of the complex innovations that contributed to breaking the cost curve. “ All companies will be software companies in future,” he said. “Gripen E has 60,000 parts and 40 computers. There are millions of lines of system code, 10 percent of which are flight critical and 90 percent related to tactical mission systems.” The avionics and mission systems software can be changed without changing the hardware. Upgrades can be downloaded with apps, similar to a smartphone. Ydreskog said that flight testing of the Gripen E would be reduced to one-third of the Gripen C/D. The Gripen NG demonstrator 39-7 will be used to conduct flight trials of the Gripen E’s new Selex Galileo Actively Electronically Scanned Array (AESA) radar. A new tactical test rig is being built to speed up the development process. The first three Gripen E test aircraft built to production standard, 39-8, will fly before the end of the year and used for aerodynamics trials and flight control software verification while the second and third aircraft will conduct tactical flight testing. Dubbed ‘the smart Fighter’, the Gripen E unveiled at Linkoping is larger than the Gripen C, with a more powerful General Electric/Volvo F414 turbojet with supercruise capability, almost third more internal fuel capacity, and ten instead of eight hardpoints. In addition to the AESA radar, the Gripen E has a new sensor suite, an infrared search and track (IRST) system and a new fin pod for VHF/UHF antenna. 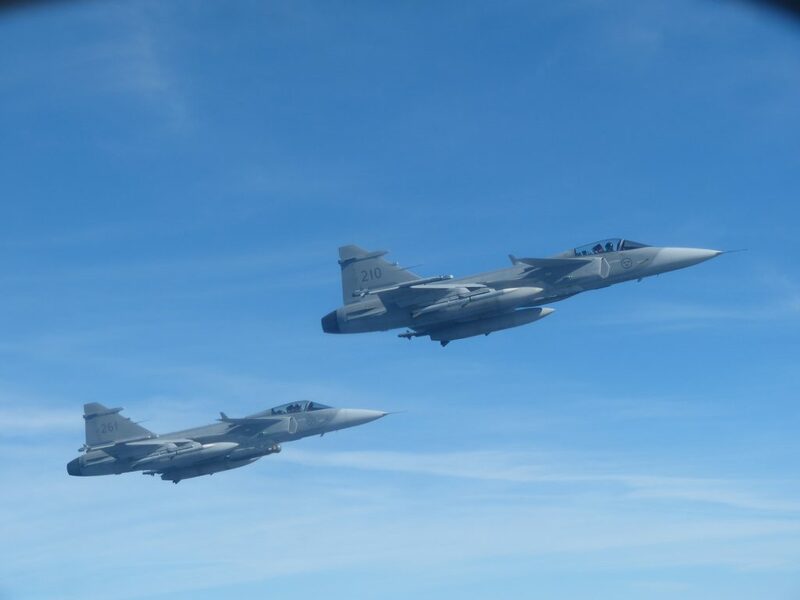 Saab is hoping that initial order of 60 Gripen Es for the Swedish Air Force and 36 for the Brazilian Air Force will be followed by orders for additional aircraft once it is operational service.